Why do I love snowman crafts so much when I detest snow and cold weather??? I think it might be because they just look so happy with their carrot noses and top hats. 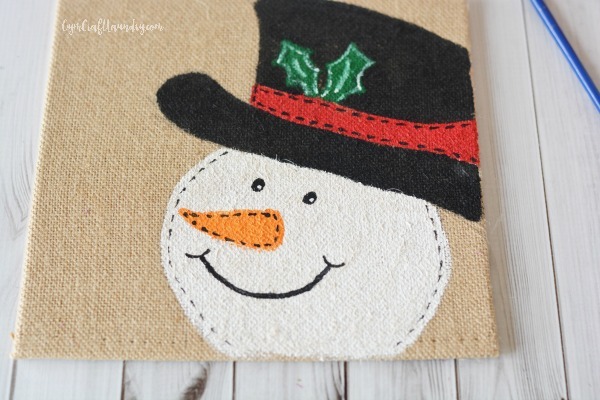 It was really only a matter of time before a snowman ended up on one of my burlap wall art projects. 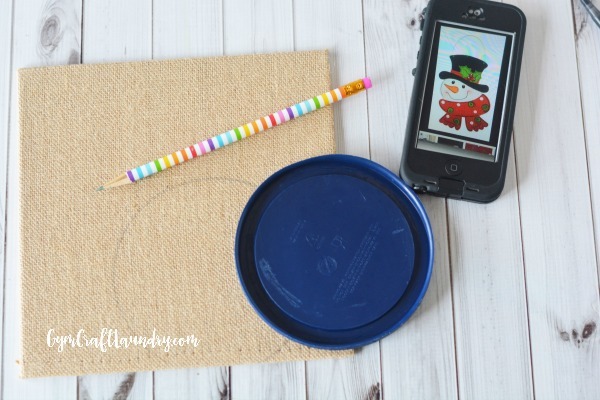 This snowman craft is deceptively easy. Don’t get nervous about all that painting and drawing. It’s really not that difficult. 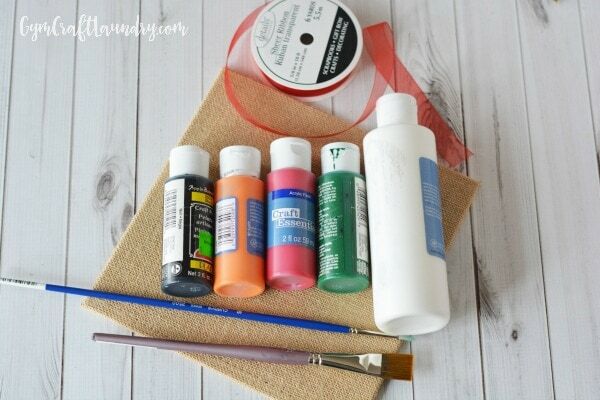 Plus, the beauty about paint is that you can always paint over a mistake! Affiliate links are include in this post for your convenience. 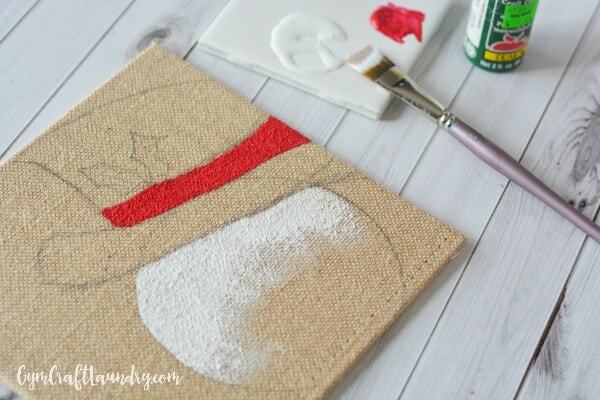 I used Craft Essentials Brand in Orange, Fire Engine Red and White. 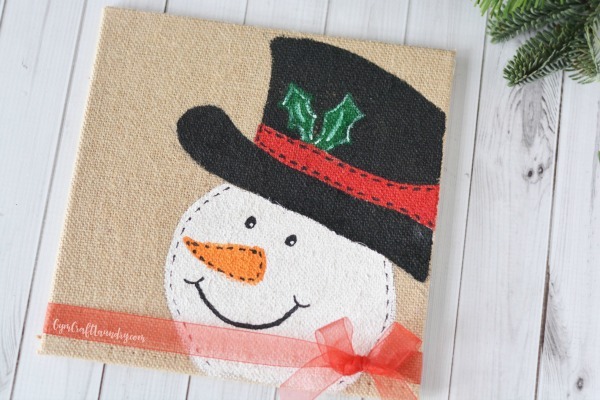 For this snowman craft project, use google images as inspiration to find a snowman you like. 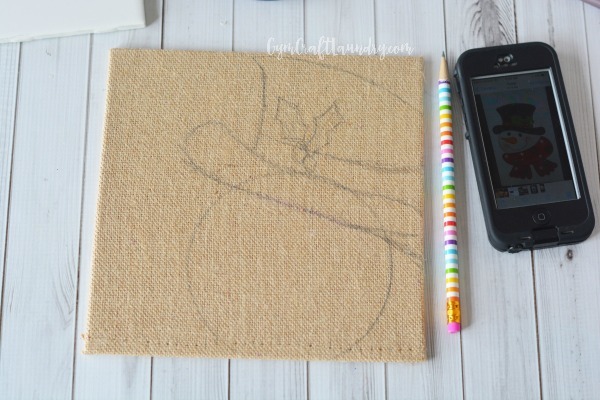 Using your pencil, draw your snowman. Start by tracing a plastic lid for the face. The lid gives you a perfectly sized circle. Then add some pencil lines for a hat and holly leaf if desired. Then add some pencil lines for a hat and holly leaf if desired. Remember that the pencil won’t be seen! 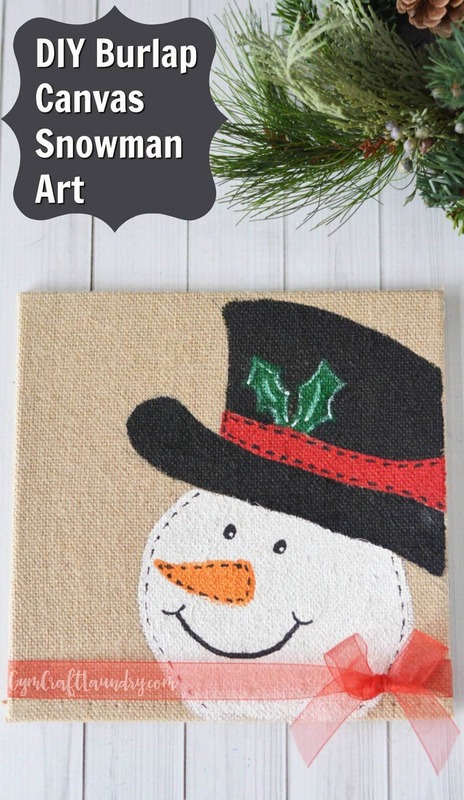 Use paint to paint your snowman. 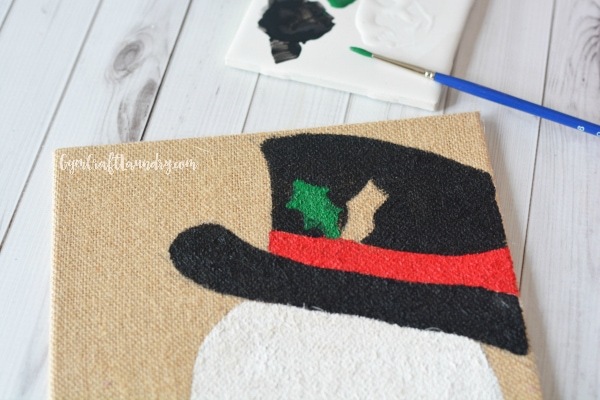 The easiest way to make the eyes is to dip the handle of your paint brush into the paint and then dab it onto your burlap. This helps to make very uniform eyes. 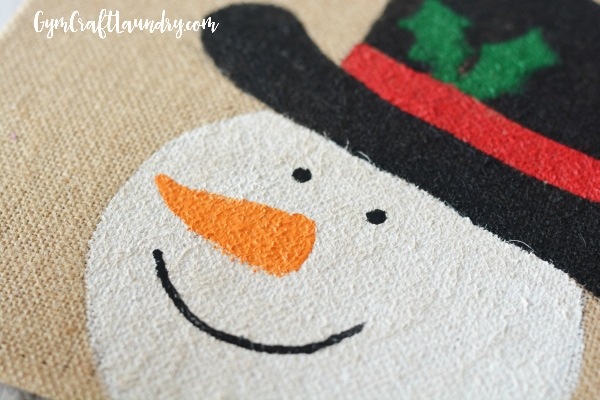 Add some accents to your snowman by adding some dashed lines or stitching to the face and ribbon on the hat. A pretty ribbon makes it a lovely hostess gift! More christmas crafts! Click here. And don’t forget to check out Etsy Shop! Merry Crafty Christmas!